'Detective Pikachu' Release Date, News & Update: Trailer 50M Views & 1.5M Likes Promise Blockbuster Success? “Detective Pikachu” is the live-action adaptation of one of the most niche Pokemon games to have ever been released and yet its first trailer is already promising great success. After hitting 50 million views and 1.5 million Likes on the official Warner Bros. YouTube account, it’s clear that there is a lot of hype behind the movie. Will it be the first to break the video game-to-movie curse? Video game and movie fans will already know by now that those two things just don’t mix. With the rare exceptions that include the first “Mortal Kombat” movie, most live-action adaptations of video games just don’t work. The same goes for anime shows or manga franchises that were turned into movies, and “Detective Pikachu” is both of those things. 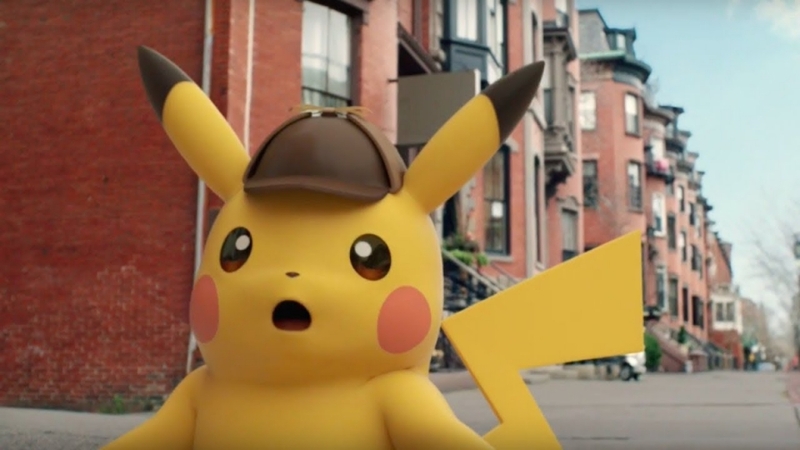 Despite this, however, it looks like “Detective Pikachu” will actually be the very first film that truly understands the source material and the fans are responding quite well to the first trailer. Now, it’s worth pointing out that there is absolutely no guarantee that the movie is going to be a success. Even with the phenomenal Like-to-Dislike ratio of the trailer, the final product could still be bad. Fortunately, there are a few promising signs that “Detective Pikachu” will deliver a quality film that fans of both video games and movies can finally appreciate. For starters, the Pokemon featured are incredible in how they are brought to life. Pikachu is especially impressive in how he is portrayed in the movie. Speaking of which, it’s also amazing that “Detective Pikachu” cast Ryan Reynolds to voice the titular character. If there was no confidence in the quality of this film, the “Deadpool 2” star would have been the face of the move instead of just its voice. In the end, however, fans will have to wait until May 10, 2019, to make their final verdict.